with Tournament prizes amounting, maybe to $50,000 or more, for the first place. 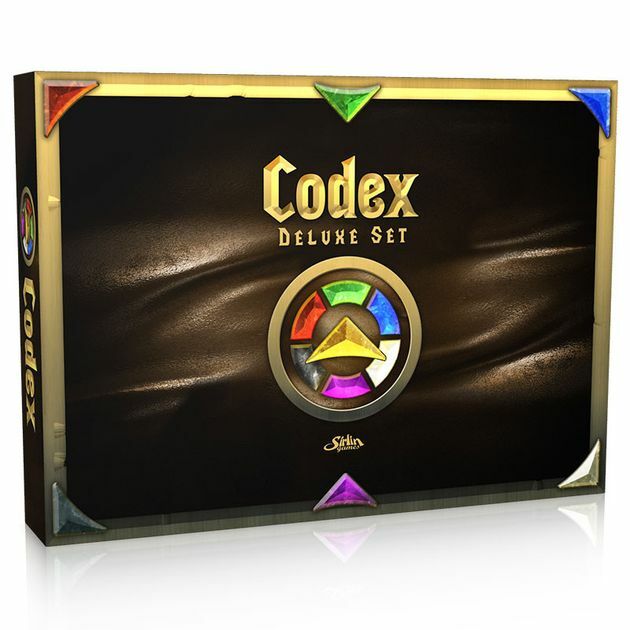 Maybe This could help promote codex. *This is a reaction on a BGG post about Codex. The post is about Codex not being able to rival the popularity of MTG even though Codex is the better game. That would be nice, but it seems unlikely to happen anytime soon. Sirlin Games is busy developing the Fantasy Strike fighting game, so they can’t afford the time or money to set up a tournament unless it’s attached to an event they already had planned, like Fantasy Strike Expo (and even then, I doubt they could have a $50,000 prize). Not really sure why you’re posting here, rather than replying to the BGG topic. I don’t think you need $$$ to get people to play games competitively. FFG are doing very well with their LCGs, and that’s largely off the back of fans promoting them and setting up tournaments (I realise FFG provide OP kits, but I don’t think that’s what has made games like A:NR successful). Sirlin runs a World Championship tournament at FSX every year, I think that’s enough to attract competitive gamers. What Codex really needs is grassroots support - players pushing it at LGS, and getting their friends interested. I think what is likely to hold it back is not the lack of a competititve prize pool, but the distribution model. LGSs promote and support Magic because it brings huge amount of income their way. Even LCGs bring in a regular income as regulars buy new cards every month. Codex’s only revenue stream is likely due to new players, and that’s harder to sell to LGS, who often provide floor space to run tournaments. That’s not to say it can’t work, local tournaments run with an entrance fee and a prize pool in store credit gives all the stakeholders an incentive to participate, but maybe some OP kits might sweeten the deal when there is more demand for competitive play. Can someone link the BGG thread?